One reason testing is often neglected is that it’s not included in the preliminary planning of the course design and development. Make sure to incorporate plenty of time not only for the testing but also the follow-up edits and changes that may be required as a result of that testing. Try to use as diverse a group as possible to test your course. Include people with different levels of technical experience and background knowledge to get a good idea of how your real-life audience will interact with the course. Your tech-savvy 20-year-old might breeze through the course, but is your less technically proficient worker struggling to identify a “next” button? This is why you want a diverse group of testers. 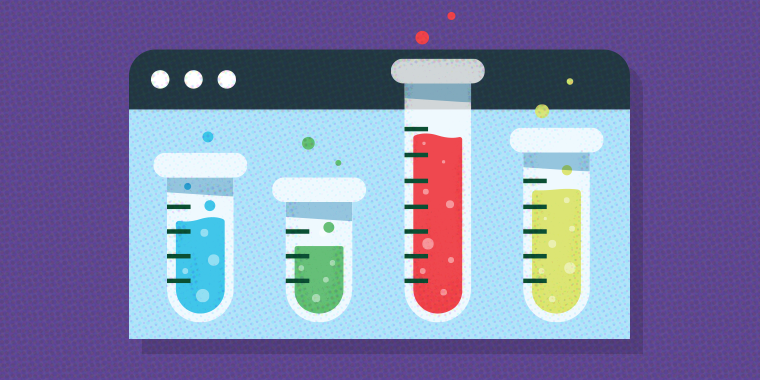 Your various testers should be on the lookout for different things in your course. Content accuracy: Your subject matter expert should take a final spin through your course before it goes public to ensure that all the information, facts, and processes within the course are accurate. Spelling and grammar: Even if you don’t have a professional editor to work with, it’s always great to get a second set of eyes on your textual content, to weed out any obvious typos and mistakes. Try to involve someone who’s a good writer! Navigation: Ask your testers to take note of any time they become stuck or unsure of where to click or where to go. You can edit to make the navigation path clearer based on their feedback. System issues: Try to have testers who use different software and hardware applications on their systems. You might see an issue in the course for someone viewing it on a Mac system versus a PC. Or there might be a piece of the course that isn’t viewable without the learner installing another application, etc. Excellent. I might also add for Tip 3, if appropriate, to test translations. The last project I worked on was translated into 8 different languages. We had a professional translation service complete the bulk of it, but when we had our in-country reviewers take a look, they made some minor changes to phrasing which we were able to add before publication. Conversely, some of the content was not translated, but was expected to be used by non-native English speakers. We paid special attention to the text to make sure that the language was as simple and clear as possible, which, of course, is always part of the plan anyway. We had some of that user group review the English to confirm is could be easily understood by non-native speakers. Great advice. I'm always trying to impress upon my team how important testing is. I would also note that if you are planning on running your course on an LMS, make sure to have it tested by users ON the LMS. I've seen several people test in review mode or from a file and find out the hard way that things don't always run the same way on the LMS. This is a super great tip Cassidy - testing with the actual LMS is huge! Can't tell you how many times I've heard of people running into a whole brand new set of issues once they upload the content to their LMS. And Remember, if you do have a problem and you're not sure if it's caused by LMS or the e-learning software, do a test in SCORM cloud. If it works there, it's probably your LMS that's causing the problem. Testing is a critical element of course development. A poorly functioning course takes away from the learning experience for the end user and affects their expectations of other online courses. When testing we also have to remember to test all the hyperlinks within the course, and with the ability to run courses on mobile devices you need to test to ensure that the course run properly on different platforms. Totally agree - test every hyperlink, click on every link and button and try to "break" it, if you will. There should be no dead-ends or loose ends in the course after it's properly tested. Where was this when I first started developing courses? :) Great advice. I've learned to add more testing time than I actually think necessary just because even though the project might be a priority for me, it may not be for others. While it's usually not a problem, I've started testing it in different browsers too just to make sure everything works as expected and can anticipate problems of potential users when accessing it from different browsers. Another tip if linking to external files - making sure that if they are behind a firewall of some type that there is a note to the user to the effect of "requires additional login" or something like that. Great tip about linking to external files, Shannon! That's definitely a good consideration to keep in mind and to test for, if possible. Thanks for sharing that!